Joshua Waller has a look at the new and improved Nikon J2 - with minimal changes what does this camera offer over the original J1? The Nikon 1 J2 is this years update to the Nikon 1 J1, and features a new creative mode selection on the mode dial, improved resolution screen, as well as a number of new colours and updated styling. With 60fps shooting at full resolution, and claims of the World's fastest focus, the camera certainly offer something unique, find out how it performs in our review. 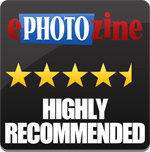 This review is based on the Nikon 1 J1 review. The Nikon 1 J2 is the entry level mirrorless camera from Nikon, with an improved screen resolution of 921k dots (compared to the 460k on the J1), it's also available in six different colours: orange, dark red, white, black, pink, and grey. The Nikon 1 J2 has a more compact 11-27.5mm f/3.5-5.6 lens available, as well as a waterproof case. You can view some of the different colours available in our Nikon J2 hands-on preview. 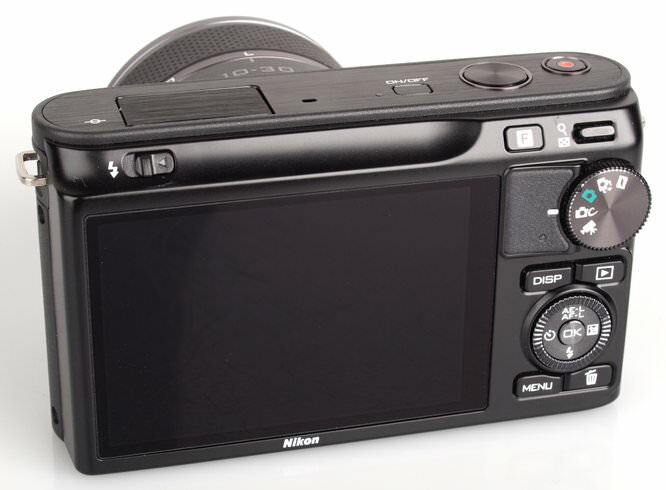 Handling - With a rounded corners design, the Nikon 1 J2 looks similar to the Leica X1, and features a rubber grip on the back, and a smooth surface at the front. There are a good number of buttons, with a mode dial on the back, and the mode dial now gives a choice of motion snapshot, smart shot selector, normal photo, creative mode and video mode. "Creative" mode on the dial can be set to a number of things, including P/A/S/M modes so that you can go directly into the preferred manual shooting mode. The camera has an electronic shutter and the shutter sound effect can be switched off for completely silent shooting. The J2 has a built in pop-up flash that raises the flash about 1 inch above the camera. The camera lacks dust reduction, instead relying on the infra-red filter (shown above) protecting the sensor from dust, it's also much further forward, so that any dust should be less visible in photos. The collapsible lenses have a clever feature built in, if you press the button and twist the lens to unlock it when the camera is off, the camera will automatically switch on, because presumably the only reason you'd be unlocking the lens is so you can take photos. Clever. Menus - There are three main sections, playback, photo, and setup. The scroll wheel is used to scroll through the menu options, although it's quite sensitive and sometimes it will scroll through a little too quickly. 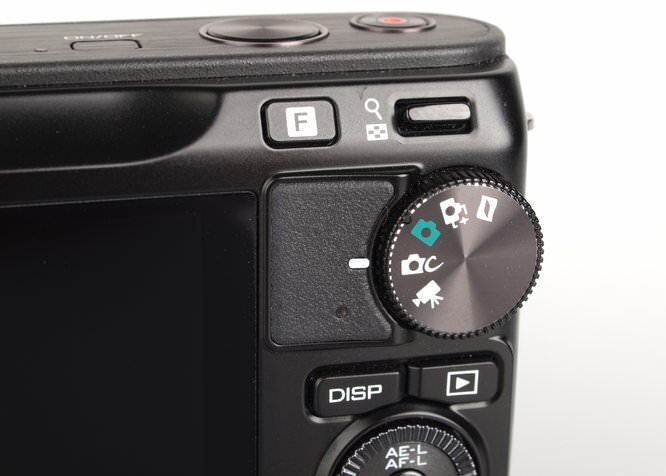 The F (Function) button on the back will let you choose the shutter mode from electronic, and electronic (Hi), with the last option being used for high speed continuous shooting. In the video mode it lets you choose between HD and slow motion video. Battery Life - Battery life is rated at 230 shots according to CIPA standards, unfortunately the J2 doesn't show you detailed battery life information like the V1. We managed to take over 300 photos and there were still two bars of battery life showing on screen, which is better than expected considering the CIPA rating. 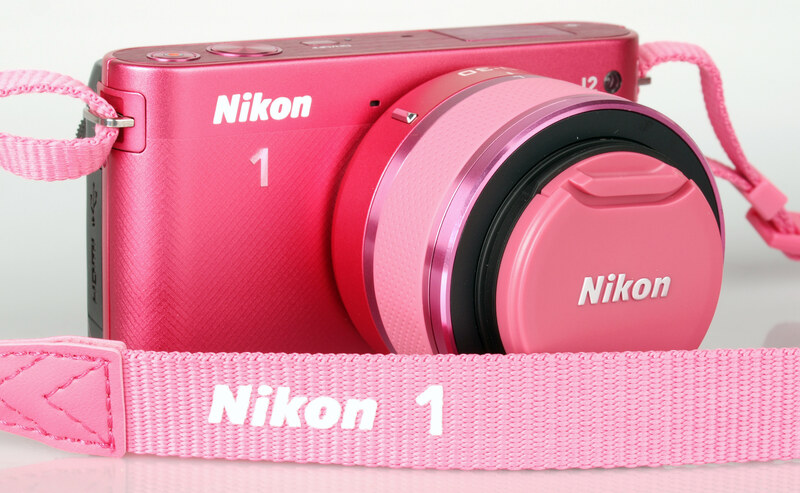 Nikon 1 J2 Pink - with matching 10-30mm kit lens, lens cap, and pink Nikon 1 strap. Speed - With 135 focus areas (Single-point AF) and Auto-area AF with 41 focus areas the focusing system on the Nikon 1 J2 should be very responsive, and gives excellent control over what you are focusing on letting you choose any position from the 135 focus areas. We took a number of shots to test the camera's responsiveness, from switch on to first photo, shot to shot, focusing speed etc. We take a number of shots and then use the average to ensure accurate and consistent tests, making it easy to compare with other cameras. We have shown the Panasonic Lumix GF3 here as a comparison. Continuous shooting is as fast as advertised, shooting at 10, 30 or 60fps using electronic shutter (Hi speed), and you can take up to 13 shots at 10fps, and 12 shots at 30 or 60fps. Shutter response is excellent, and focusing is very quick matching the Panasonic Lumix GF3 (and PEN Mini), but seemed slightly slower at the telephoto end of the zoom lens. Switch on time is better with the 10mm lens and is reasonably quick. Shot to shot time is a little slower than expected and there doesn't seem to be any way to switch off reviewing the photo after taking it. These high speed shooting options are available whether shooting JPEG, RAW or JPEG+RAW. The photos show excellent skin tones, lots of detail and just a slight hint of red-eye. Colour is very good, with saturated reds and blues, without being overly saturated. The motion snap shot mode takes a photo and a slow motion video, the example video can be found here. The kit lens performs really well in a variety of conditions, Vignetting is not noticeable. There is some barrel distortion at wide-angle on the 10-30mm lens. Some pincushion distortion is visible at the telephoto end on the 10-30mm lens. The distortion is barely noticeable in real world shots. Some purple fringing is visible in areas of high contrast. There is very little chromatic aberration noticed. Detail in corners seemed slightly worse with the 10-30mm lens at 10mm. The 10-30mm lens gave the best macro performance when used on the telephoto setting. ISO Noise performance: The camera has low noise at ISO100/200, with some noise becoming more noticeable as the ISO setting increases to ISO400 and ISO800. It's at ISO1600 that coloured noise becomes more noticeable, but results are still good up to ISO1600. At ISO3200 noise is beginning to be quite noticeable, and it begins to distract from the image. ISO6400 shows softer than expected results, with black and white dots, although colours are still strongly saturated. Auto white balance: The camera produces very good results particularly using auto white balance, with very little difference between auto white balance and the tungsten preset. Under fluorescent lighting better results were obtained when using auto white balance, with the fluorescent preset giving a slight magenta cast. Some signs of moire are visible in the fabric pattern in the case in the middle of the picture, and detail is very good for a 10 megapixel sensor. The camera now features a panoramic mode and a number of new effects, including HDR. To enhance dynamic range, the camera has the option to switch on D-Lighting, this adjusts the shadows to bring out more detail in them. Digital Filters - An example of some of the new filters available can be seen above. The Motion Snapshot or "Living Picture" as Nikon like to call it, takes 1 photo, and 1 slow motion video - (1 second long) and then when played back on the camera it plays the video then shows the photo with one of four pieces of music (chosen pre-shooting). The files are saved on the memory card as an 8.2 megapixel JPEG (3840x2160), and as a separate 1080/24fps MOV video file, both files have the same name, both starting with NMS and the JPEG ending in .JPEG, and the video file ending in .MOV. An example of the photo is shown above, and the video can be seen here. Flash is not available. Video: Video is recorded at 1080/60i, 1080/30p, 720/60p, with stereo sound, video sound options are: auto sensitivity, high, medium, low, and off with the option of wind noise reduction on or off. Fade in/out black or white is available. Slow motion options are: 400fps (640x240) or 1200fps (320x240) the later mode needs better than indoor lighting. Both of the slow motion video modes can only record 5 seconds, and examples of all of these video modes are available on the ePHOTOzine Youtube page: High speed 400fps, High speed 1200fps. The lenses are all optimised / designed for both still image quality and video recording with quiet auto-focus and motors in the power zoom models, and white balance is optimised for each lens. The first zoom lenses are all retractable / collapsible making them more compact when not in use, excluding the 10-100mm lens. 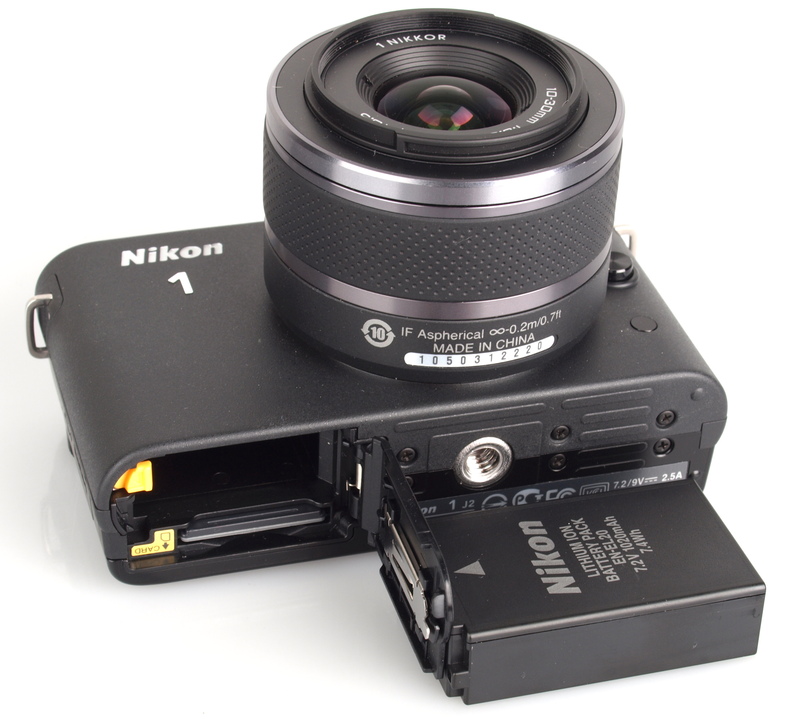 A Nikon FT1 adapter is available for Nikon lenses - and with AF-S / AF-I lenses Auto Focus will work. With a 2.7x crop factor, a 35mm standard lens will become a 94.5mm equivalent lens, and this crop factor would suit telephoto lenses particularly if you're interested in having as much zoom as possible. Another way of looking at this is to think of the Nikon 50mm f/1.8 D lens, which is available for around £90, would become a 135mm f/1.8 telephoto lens, which means getting a bright telephoto lens would be very cheap looking at the price of the lens on its own. With a price of £459 with kit lens, the Nikon 1 J2 already undercuts some of the other compact mirrorless cameras, and is priced in the middle of the rest of the cameras. This makes it competitive at launch, priced very similarly to the price of the Panasonic Lumix GF5 (£449), Olympus PEN Mini E-PM2 (£499), although the Sony NEX-F3 is one of the cheapest, available for £349, and the Samsung NX1000 (with Wi-Fi) is available for £399. 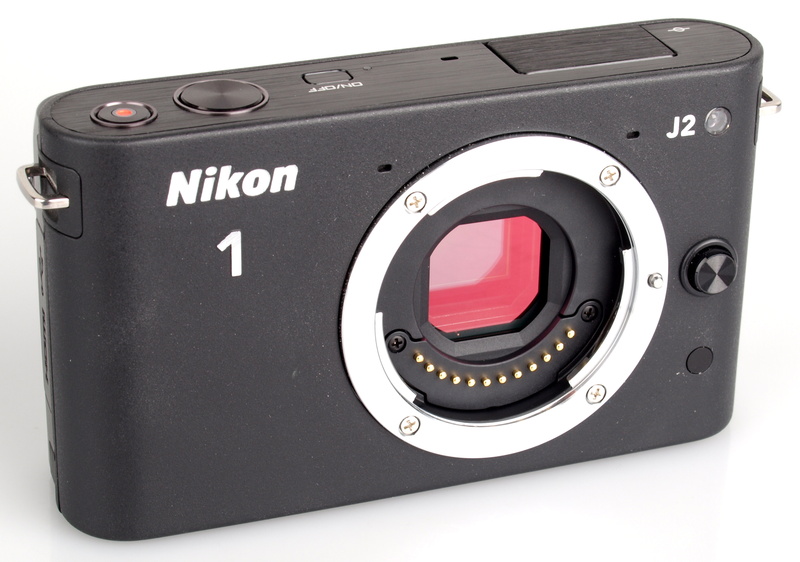 The Nikon 1 J2 is the more compact, and more stylish looking camera from the Nikon 1 series available in six different colours, with matching lens colours. With a smaller sensor than the Micro Four thirds system, it allows smaller lenses, and the 10 megapixel sensor achieves an amazing 60fps shooting, high speed video and full HD recording. Nikon has used the high speed sensor to develop "Motion snapshot", a combination of video and a photo, as well as Smart Photo Selector that chooses the best 5 photos from 30 taken at 30fps. Continuous shooting is excellent: 60fps at full resolution is generally unheard of except in high end video. Although it seems a shame that there is not the option to use the high speed shooting for other things, such as auto exposure bracketing. Nikon has addressed some of the complaints about the original Nikon J1, with the addition of Panoramic mode, HDR, digital filters and effects, a higher resolution screen, and another setting on the mode dial to get to your preferred mode more quickly. The lens line up has been improved with a new more compact zoom, as well as a bright prime lens. The camera features hybrid AF, with contrast and phase detection built into the sensor, and provides extremely fast focusing, although perhaps focusing isn't always as quick as intended. Image quality is very good, with great colour, and detail, and while ISO noise is not as impressive as Micro Four Thirds cameras, it is noticeably better than serious compacts, such as the Nikon Coolpix P7100, particularly at higher ISO settings. The price of the J2 is quite reasonable, putting it in the middle of the mirrorless price range, yet the 60fps shooting is a unique feature that is worth paying for. 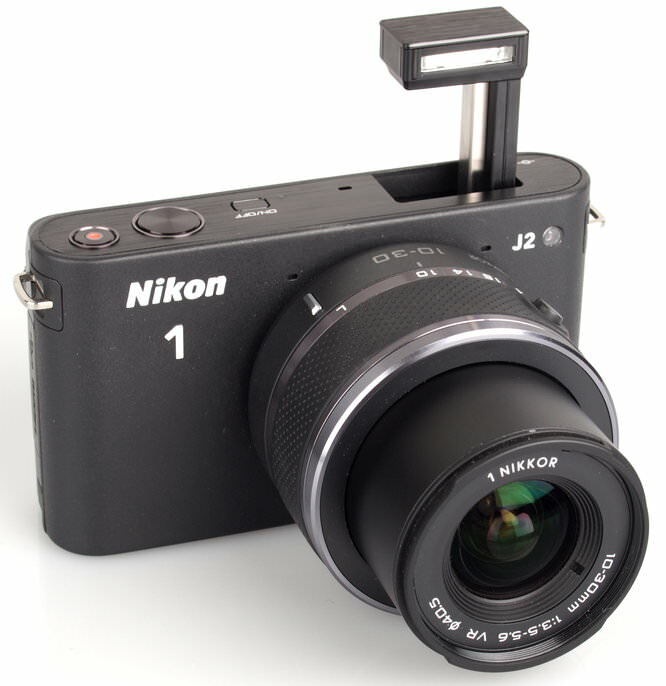 The Nikon 1 J2 delivers one of the more compact mirrorless camera systems available, thanks to the compact kits lenses available being very compact thanks to the pancake design and collapsible zooms. 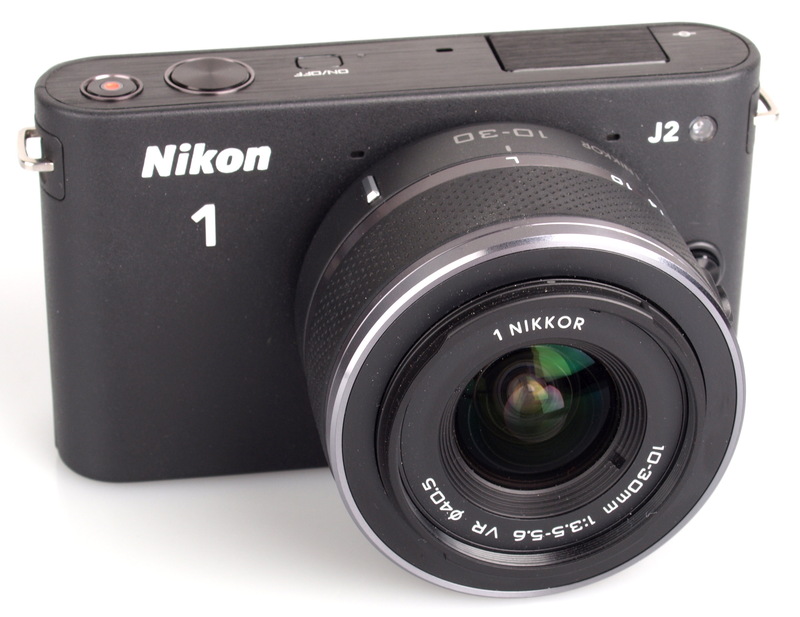 The Nikon 1 J2 has a solid, stylish metal body, and will even fit in baggy trouser pockets, with the lens on! The Nikon 1 J2 offers great image quality and extremely rapid continuous shooting and fast focusing in a compact stylish body. I'm still not decided on this or the V1 as an 'in your pocket' camera. It is very tempting though over the V1 because of the built in flash. Not yet convinced by this 1 series. If IQ is no better than m4/3 (you suggest not as good? ), what new wonders are these cams bringing to the party? No touch-screen, no swivel-screen, no brilliant design or handling. 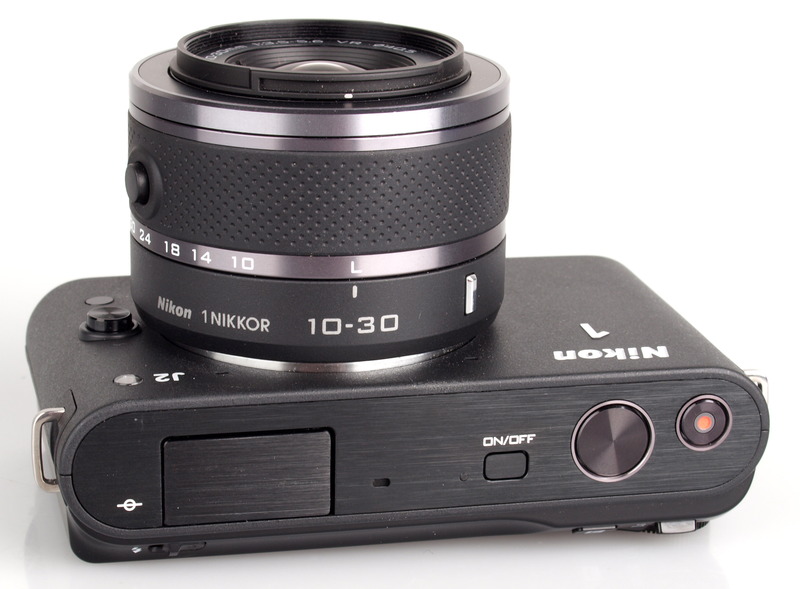 Similar size to GF5, EPM1, even NEX, but with a smaller sensor are Nikon always playing catch-up? Ergonomics not great, lenses not cheap, as you would expect. Smaller lenses? - They look much the same, and do we really want to go smaller now? Nikon will sell on its name, but the competition is solid too and serious users may feel the proven larger sensors of m4/3 and APS-C offer more. The J1/J2 may be targetting upgrading Compact users, but on the evidence of the V1 and its price, the V2 will need to be good to compete. I wish nikon had made a new firmware with these little upgrades for the V1 instead of making a completely new camera which has nothing to do with the nice design of the V1 .